Greenstuff pads are aimed at sub 200bhp hot hatches, providing a signifacant improvement over the standard specifiaction pads. Reducing stopping distance by up to 20 feet, these pads make the ideal starting point to upgrading your cars brakes. Looking to get the best from your EBC pads? Pair them with some EBC Turbogrooved discs for a real increase in braking ability. The Pumaspeed Workshop team are ready to fit the Fiesta Mk7 EBC Greenstuff Front Brake Pads in our Head Office located here. Therefore making parts and labour a total cost £150.50 (inc. VAT). 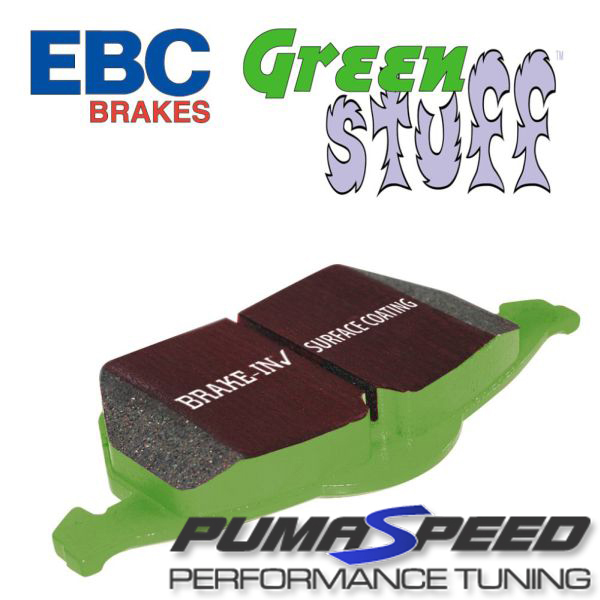 Pumaspeed have a specialist distribution team that can dispatch the Fiesta Mk7 EBC Greenstuff Front Brake Pads to any destination worldwide.